Corley Phillips is the founder of American River Ventures, a $100M venture capital fund investing in early stage information technology companies. He founded the firm in 2000 and retired as Managing Director in 2008. From 1993 to the founding of ARV, he was an active private stage investor in Northern California start-up companies. Prior to his activities as an investor, Mr. Phillips had a distinguished entrepreneurial career. From 1990 until its successful merger with a public company at the end of 1994, he served as President and CEO of Manzanita Software Systems, an accounting software company based in Roseville, CA. From 1984 to 1990, he was President and co-founder of Grafpoint, a communications software company based in San Jose, California. He previously held various sales and marketing positions with Envision Technology and Hewlett-Packard. Mr. Phillips has done much to expand the entrepreneurial activity in this region. In addition to his investing activities, he has been a Guest Lecturer at the University of California, Davis, where he co-taught the Business Development Clinic course in the Graduate School of Management. He is also Past President and current Director of the Sacramento Entrepreneurship Academy, http://www.sealink.org, a non-profit with a mission to educate, mentor, and nurture entrepreneurs in local community. He continues to advise local entrepreneurs, including Capay Organic, www.farmfreshtoyou.com, where he serves as a director of this family-owned business. Mr. Phillips retired so he could fish and sing more. 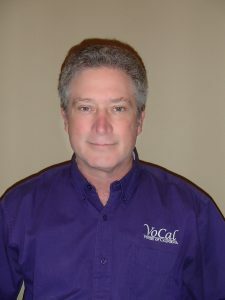 He fishes all over the world, and sings with a local barbershop chorus, the Voices of California, (http://voicesofcalifornia.org/) and the Artful Codgers quartet. He and his wife Patricia have lived in Granite Bay since 1996.